The past week was insane and it wasn’t just the craziness the media covers. Spending time reading about pens and such was a most welcome distraction. Fountain Pen Blog: Some early thoughts on the Pelikan M120 special edition, green and black fountain pen. The Pelikan’s Perch has a comprehensive post about the price hike and a theory behind the increase. 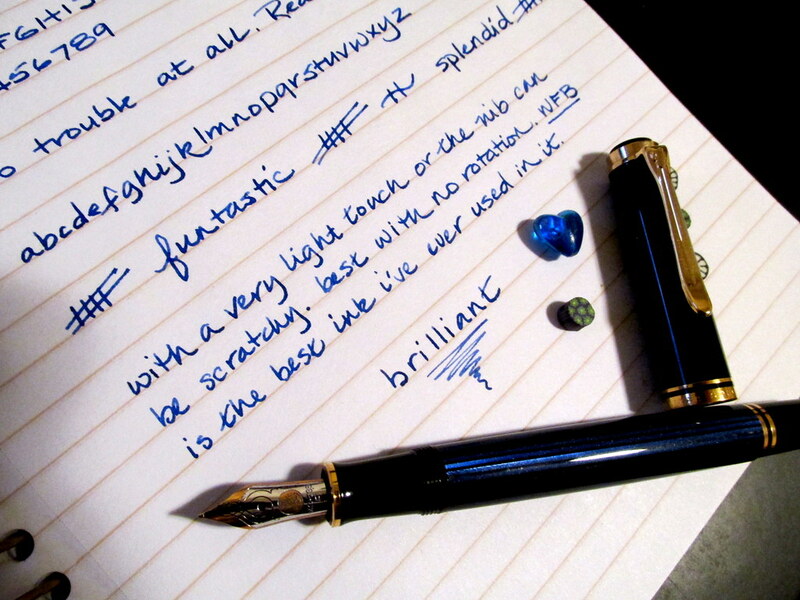 The comments to the article add to understanding how Pelikan aficionados view the situation. 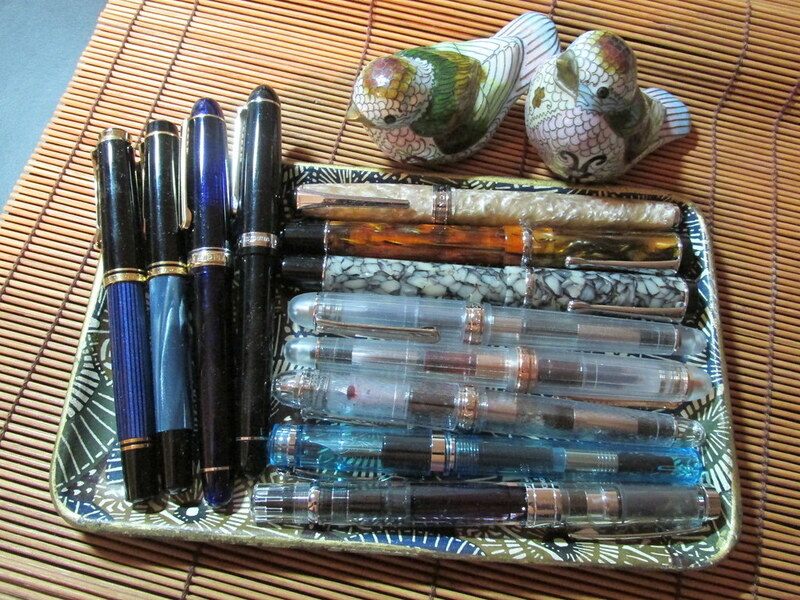 At its peak, there were a dozen Pelikans in my collection. That number has been cut by half so I remain an enthusiast. My modern M400 has been a solid worker for many years though it needed adjustment before it truly suited my hand. It has a fine nib with no drag and significant flow. There are days when it is the perfect pen though it is never inspiring since I like lines with at least a modicum of character. The fine has none. Round nibs aren’t expected to so that isn’t a fault. Just something that is. The current offering of just five nib sizes does not appeal to me and I would not spend the going rate for any of them. 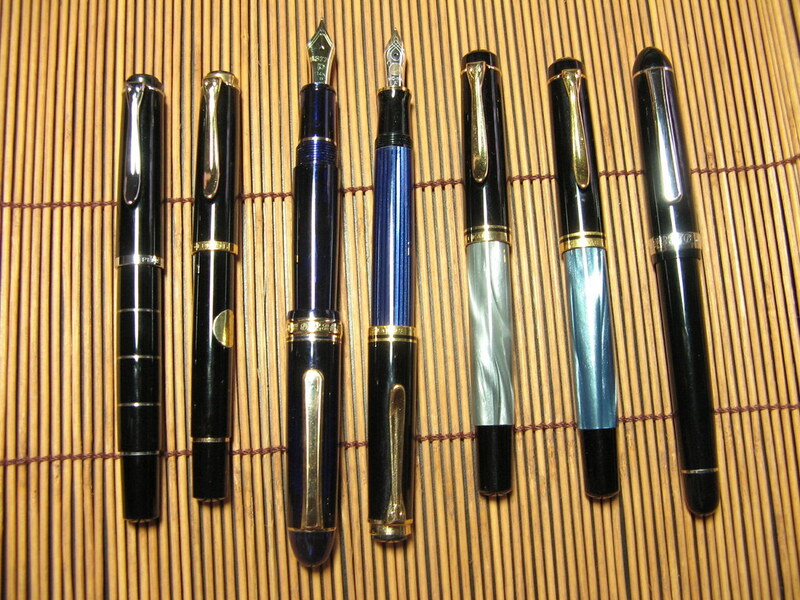 In the past, Pelikan offered a huge variety of nibs but that has long since ceased to be. That deficiency in addition to the escalating prices makes older and vintage Pels more appealing. Not that you can’t spend a goodly sum on a vintage pen, but why buy new when there are gems on offer that are far more exciting to use. What will you do for National Handwriting Day? 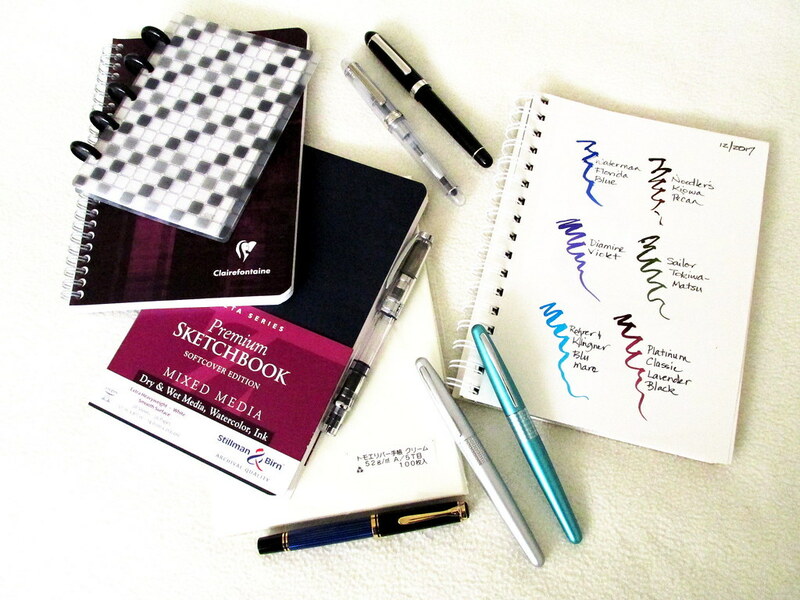 If we can only wield one fountain pen at a time, why do we ink so many? Variety in pen style and nib shape might justify a few, but not the huge number some of us wind up with despite the best of intentions. Is ink the true seductress? These days, my activities rarely require more than one or two pens for daily writing and seldom more than three for an extended session. Once my choice has been made and the words flow, it’s full steam ahead with whatever is in hand. That hardly explains the number typically inked in the tray on my desk. Often my fascination with color overrides my common sense and a quick dozen pens get filled before I put on the brakes. Add that to my core rotation and presto there are twenty at the ready. That is far and away too many, but it is incredibly satisfying. 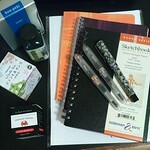 But if I ink only one or two, would the other pens get sad or feel neglected or even jealous? 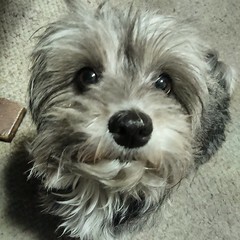 The cacophony coming from the pen drawer would be downright distracting and might drive poor Macy crazy with her canine ear for the tiniest sound. A fly two rooms away makes her head flip around with astonishing speed. She already chatters more than any dog ought to and the jabbering of the pen crew would no doubt set her off all too easily. Now if she would just bark, growl and mutter in vermillion, aubergine and cornflower blue, I would be delighted to encourage her antics. In neutral tones, not so much. How do you cope with the need to ink and the excess on your desk? 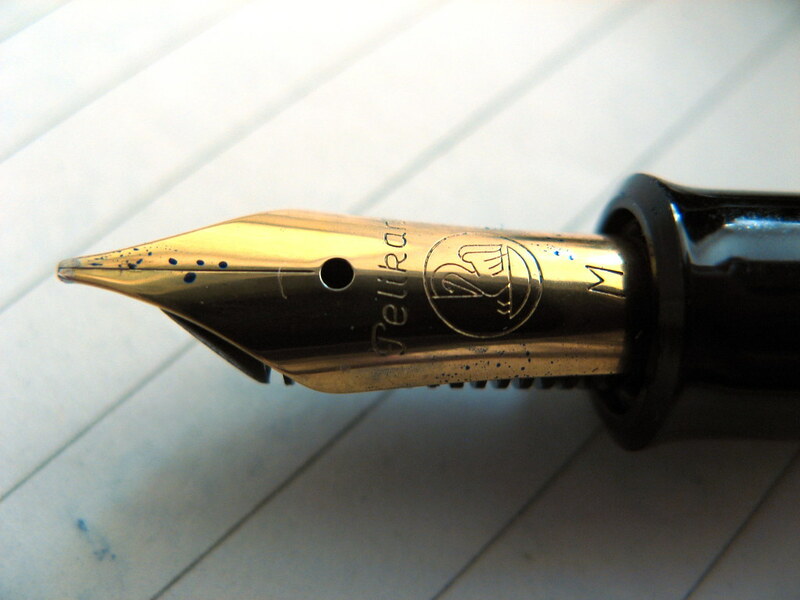 Do your pens shout for attention or do you have a complacent crew?